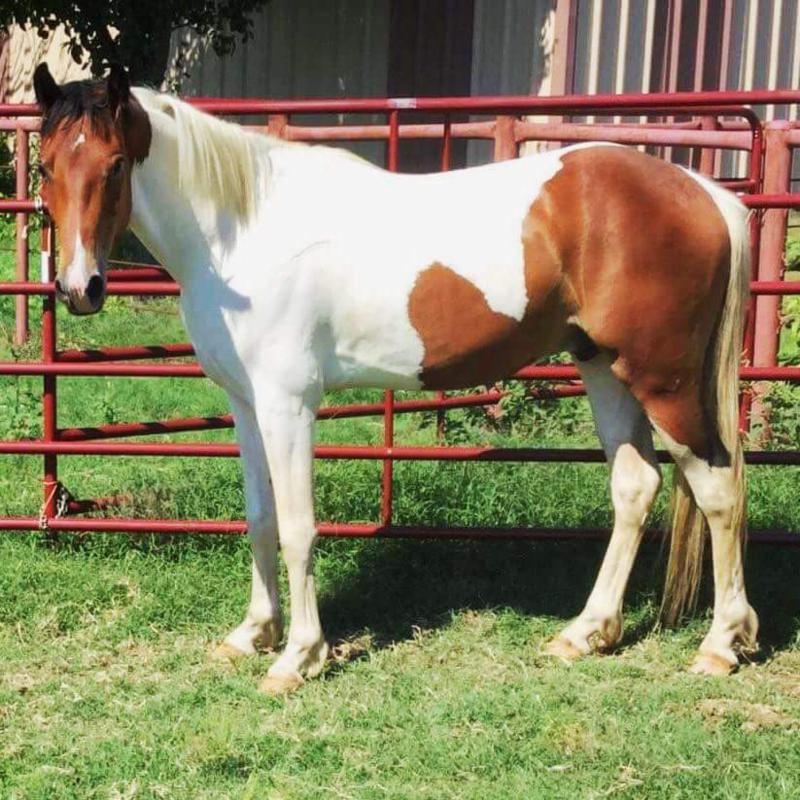 Juno is a beautiful gaited paint gelding with a ton of potential. He’s green broke under saddle and will require a rider who can prove their experience. He’s spent more than 60 days with trainers, but will need immediate and consistent work. Perfect for the rider looking for a project horse that will mature into a lifelong companion. Juno is up-to-date on all vaccines, farrier and dental care. He has a great head on his shoulders, but because he has been betrayed multiple times, he has trust issues and will require the perfect Soul Human. Once he builds a bond with you, he’ll be your best buddy. If, after you’ve read our adoption contract, you’re interested in adopting Juno, please let us know here.